UPDATE (January 21, 2017 at 2.17pm CST): Zhou Libo and the other suspect have been released on bail. Read more about that here. Zhou Libo was arrested in Long Island for illegal possession of firearms and drugs, the largest Chinese-language newspaper in the United States reports. According to the World Journal, the Chinese comedian and former China's Got Talent judge and another man, Shuang Tang, were pulled over by police in their black Mercedes in the early hours of the morning on January 19. Police decided to stop the car after witnessing the two suspects talking on their phones while the car was driving erratically. Upon further inspection of the vehicle, they discovered a Colt Mustang 0.38 caliber pistol and two bags of crack cocaine in the back seat. The suspects were immediately detained and did not resist arrest. The two were charged with illegal possession of controlled substances, weapons and firearms, as well as illegal use of phones while driving. They appeared in court on January 20. Zhou once joked about selling drugs on a 2014 episode of the Mr. Zhou Live Show. "Don't worry, I'll never do drugs," he said. "Even if I would deal drugs, I still wouldn't use it." A screencap showing the line in question. Zhou, who is from Shanghai, became famous around a decade ago for his unique style of comedy, which combined Mandarin, Shanghainese and some English phrases. He called it "Shanghai Style Small Talk." 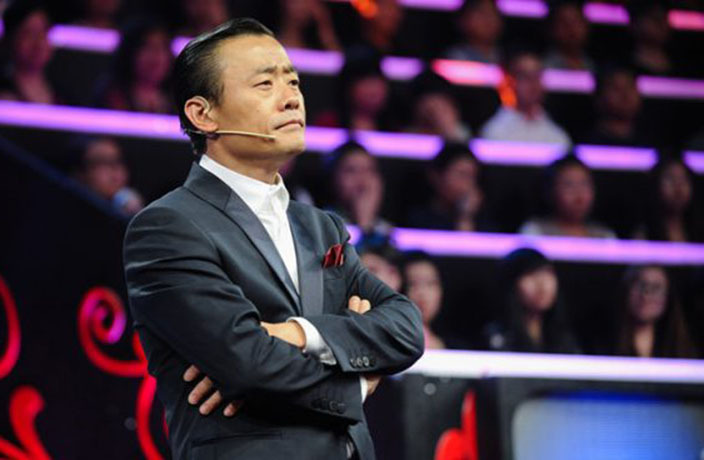 From 2010 to 2015, he was the host of the Mr. Zhou Live Show, which is considered by some to be the first comedy talk show in China. The 49-year-old comedian also served as a judge on China's Got Talent as well as a similarly formatted show, Amazing Chinese. In 2016, Zhou became the first Chinese stand-up comedian to perform at Carnegie Hall in Manhattan. Zhou and Shuang were released on bail pending trial on the morning of January 20 and are set to appear in court again on March 9. Cena is the latest celebrity endorsement for Lao Gan Ma as the world grows to love both the sauce and the logo. Don't get too excited. The plane is still in its design phase. On February 27, 1972, President Richard Nixon and Premier Zhou Enlai signed the Shanghai Communique, a document that has remained the basis for Sino-American relations ever since. The US tech giant honored Zhou on the first anniversary of his death with an animated doodle on the Google homepage. ​Michelin-starred DaDong opened its first ever US location in New York City on December 11 – and it's all the rage. Chinese fans will remember Zhou Qi as a key cog in the roster of the 2017 CBA championship-winning Xinjiang Flying Tigers.